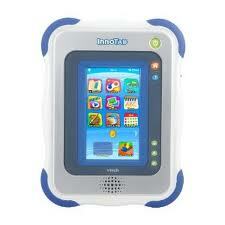 My 4 yr. old son got a Vtech InnoTab for Christmas. He loves video games and gadgets, so we thought that he would LOVE the InnoTab. The graphics are amazing when you use the cartridge. The built in stand is great as well. My son has already lost the pen that it came with, so I wish Vtech would start selling extra pens for it, like how there are extra pens for the Nintendo DS. The InnoTab does have some great features but the worst part about it is that it takes 4 AA batteries and it dies each day that he plays with it. So, we went out and bought 2 sets of rechargeable batteries. I wish it came with a charger like the Nintendo DS or iPad. 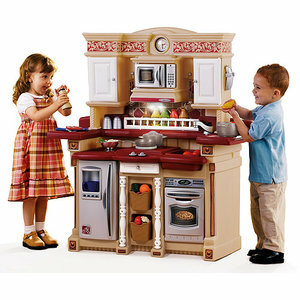 We bought this Kitchen for my older son when he was about a year and half. He loves the kitchen and now my younger son plays with it as well. This kitchen has been worth the money we paid for it. This is the one toy that gets used everyday since we've purchased it. Great Buy! When we had our first son, we bought the Summer Infant Day & Night Video Monitor for him. It worked out well for us up until recently. He is 4 years old and now we ended up keeping it plugged in all day and all night long. It wouldn't work if it wasn't plugged in. There was also alot of static throughout the night. The static was waking us up in the night, so we just got fed up one night and decided to invest in a new monitor. We did some research online and bought the Motorola MBP36 Video Monitor. Wow! This monitor is great! We can talk to him through the monitor and we can scan the room and zoom in and out. The clarity is amazing! There is only 1 downfall; the monitor doesn't last all night long by itself. In the middle of the night, the monitor will start beeping to let me know that it is about to shut off unless you plug it in. So, if you're in deep sleep you might not hear that beep and it might shut off and you might be able to hear your child. But if you're a parent, you naturally wake up throughout the night to make sure that your child is ok. So far I LOVE the monitor! 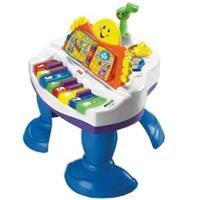 We bought this Piano for my first son and now my second son plays with it as well. This is a definite MUST HAVE. Both of sons loved this piano and my second son is 14 months old right now and he still loves it! This was given to my first son as a gift and he loved it and now my second son loves it as well. 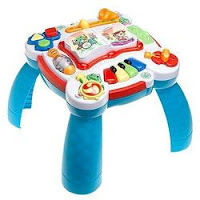 One of the reasons that I really like this toy is because you can start using it when your child starts sitting up....all you have to do is use the toy without the legs...just set it down on the floor. When children first start sitting up there are very few toys out there that they can play as much with as this toy. Once your child starts standing up, you can attach the legs and your child will start loving the fact that he or she can stand up and play with toys. This toy is a definite MUST HAVE! 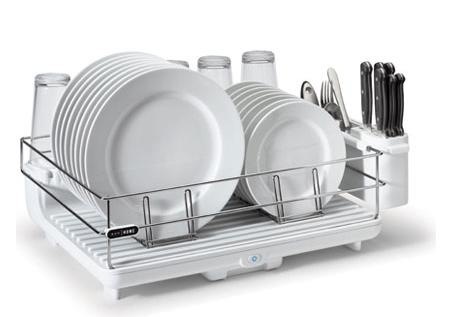 This Dish Rack is Amazing for people who wish the dishes would dry faster so you can put them away and have room for more dishes to put in the rack. After you are done putting all of the dishes in the rack, all you have to do is push a button and the drying starts. The dishes dry so quickly and the rack stays so nice and clean. This is a definite MUST HAVE! I first read about this word builder on a blog that I can not find anymore. They had good things to say about it for their child that was learning how to spell. My son is learning how to spell right now, so I thought that I would buy it and write a review for you. 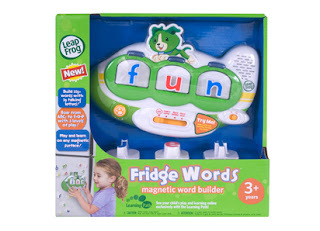 The things that I like about this Word Builder is that you can have your child work with the word builder on his/her own, because they have a Word Builder and Word Hunt mode where the lady asks you to spell some words and the child has to find the correct letters and spell it out, once your child has put in the correct letters the word builder will sound out the word...which helps the child learn the sounds of letters and how it integrates with spelling the words. That feature is something I LOVE because my son knows his letter and his sounds but he is having a hard time putting the sounds together in order to form a word. Then I also think of other 3 letter words for my son to spell on his own. I also show him different three letter words and how they are spelled and then I will ask him to spell them on his own. 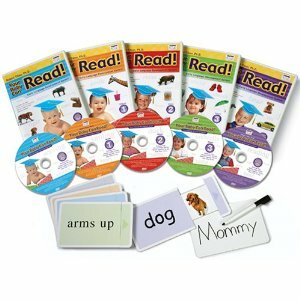 I will look up some spelling word lists for you to work with your child! This is a definite MUST HAVE! There are so many times that my 4 year old is just such an amazing, loving and caring son and then there are times that he decides not to be a good boy that day or not to listen to his parents or his teacher. He knows who he can get away with doing whatever he wants to do with and who he can not get away with. Children are very smart and they will use it to their advantage. He knows that if his grandparents are around then he can do whatever he wants and that he can cry to get what he wants. He knows that he can do that in public as well because we don't want him to cry in public. A few weeks ago, I decided that there is no way that he's going to do this all of the time forever. He is old enough to know how to act and what is expected of him at ALL times. A few months back, I saw this erasable chore chart at Target and decided to get it because I can use it one day, because it always happens that when you're ready to start using something and when you try to go buy it...for some reason they stopped selling it or making it. So, I decided that I can use this chore chart in a different way for my son. I wrote down different things that are expected of him. Some examples are: Eating all of his food; listening to Mom, Dad, & Teacher; Being a Good Boy; Brushing his teeth; Helping Someone; Reading a Book to Mom or Dad....etc. He gets a star for each item that is listed and for each day. At the end of each week he gets rewarded and there are 3 levels of rewards....for my son this week, if he gets 20 stars then I will take him to the Museum, and if he gets 30 stars then I will take him to the library and if he gets 40 stars then I will take him to Toys R Us. I LOVE the difference that it's made in my son's mentality. He wants to earn his stars everyday and goes to look throughout the day all of the things that he still needs to do in order to earn all of his stars. He knows now that he needs to listen to us everyday and he needs to be a good boy everyday and that he needs to help everyone everyday. He likes to help clean up all of the time now and he likes to help his little brother alot now! 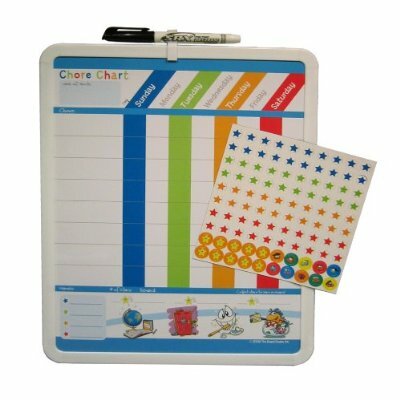 The board is called The Board Dudes Dry Erase Chore Chart. It comes with a Dry Erase marker and magnetic stars and happy faces to use. I originally purchased this diaper caddy when my older son outgrew the Diaper Changing area, because he would roll over a lot and I was always afraid of him falling off of the table. This caddy is perfect! It has room for plenty of diapers, wipes, and creams, etc. 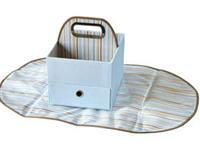 Now with my second son, I use it as our downstairs diaper caddy because we have his diaper changing table upstairs. This is a MUST HAVE! We received our older son's Pottery Barn Kids Anywhere Chair as a gift. 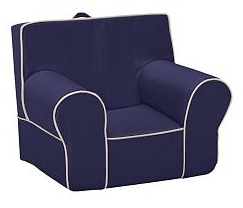 I LOVE this chair because when children first learn how to sit, they can easily sit on the chair by themselves and get off by themselves as well. Children love to have some sort of independence instead of always relying on us as parents to help with do whatever it is they want to do. The chair is super comfortable as well. You can easily clean the cover in a washer and I have always air dried it so it still looks like new. This can be a great gift and a definite MUST HAVE!